Exciting News! Shizens is having an exclusive giveaway for Genting Rewards members today & tomorrow (5 - 6 Aug)! Be the first 1,000 members to walk away with Shizens' Complimentary Gift per day! No purchase is needed! 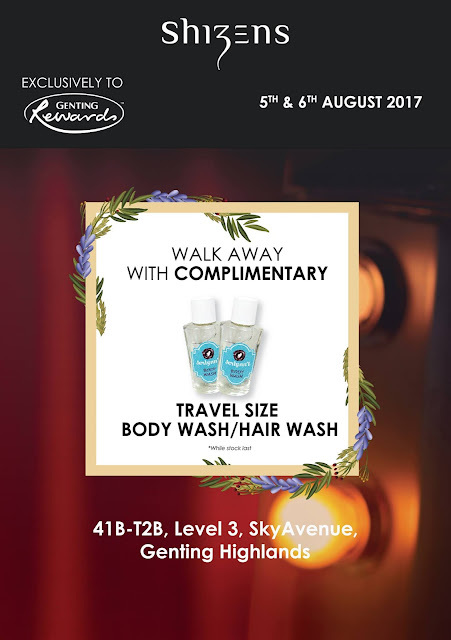 #ComeOnUp to Level 3, SkyAvenue as early as you can if you do not want to miss out this offer! LIKE & SHARE this good news with your friends now.